The Greenstar Highflow CDi gas combi boilers are floor-standing appliances that have been developed by Worcester to serve the needs or larger properties with two or more bathrooms. The increased flow rate of 20 litres per minute should be more than adequate provided you have adequate mains pressure. With a SEDBUK 2009 efficiency rating of 92% the Greenstar Highflow 440 CDI is a highly efficient boiler and can be used with a wide range of optional mechanical digital wireless and new generation intelligent controls. The Highflow range is suitable for those households who either don't want or can't accommodate a separate hot water tank and as with all combi boilers, heats water directly from the mains. With its contemporary design and dimensions similar to that of a regular washing machine, it will fit under a kitchen counter top. Worcester have also added rollers to the base to minimize the risk of floor damage. Being a Worcester-Bosch, this boiler is recommended by the Energy Saving Trust - so you know you are doing your part for the environment. As with other CDi boilers, the Greenstar Highflow incorporate many of the operating features expected from the range and can be used with mechanical, digital, wireless and new-generation intelligent controls. These boilers offer a seven day programmable room thermostat, but a 24 hour programmable room thermostat is also available. The boilers have been sympathetically designed with increased siting possibilities due to a built-in condensate pump. Additional features include built-in frost protection, electronic ignition, pump seizure protection, fault finding diagnostics and an anti-cycle device. The one in particular (the 440CDi) provides an output of 44kW with a domestic hot water flow rate of 20 litres per minute at 35 degree temperature rise (provided adequate mains pressure is available). Efficiency is at 89.2 per cent. 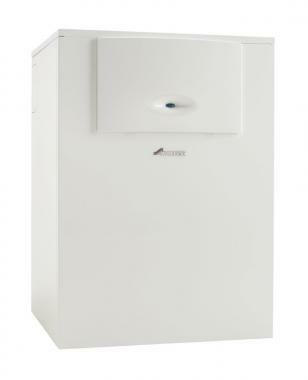 You can also get this boiler in a 55kW known as the Greenstar Highflow 550CDi.